Jikabuki Theater is open to non-hotel guests. 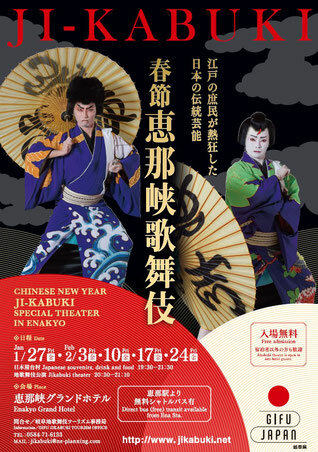 ・Watching highlights of a popular Kabuki play "Shiranami Gonin Otoko"
From Chuo Expressway Ena I.C. - 10min. 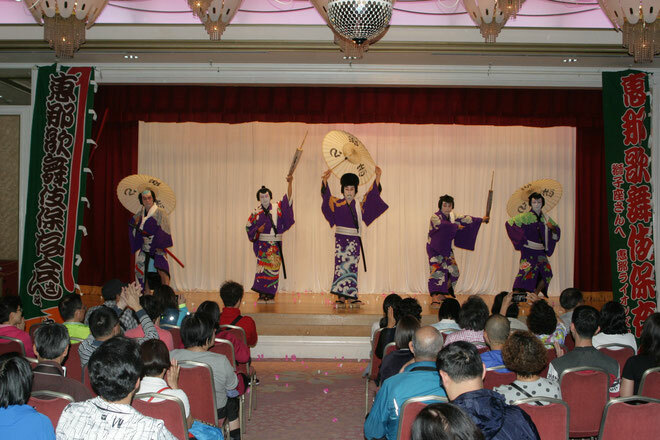 The bus of the return departs on the event end. Please contact us if you are in a karge group and traveling by bus. 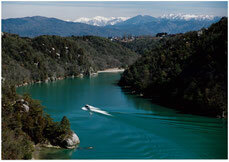 Enakyo (Ena Valley) is a manmade lake made by a dam on the Kiso River. There are many interesting and oddly-shaped rocks on both banks and you can enjoy this beautiful landscape in all four seasons. 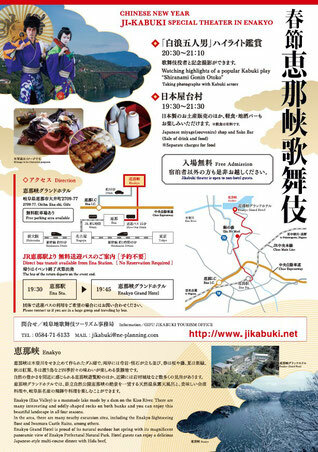 In the area, there are many nearby excursion sites, including the Enakyo Sightseeing Boat and Iwamura Castle Ruins, among others.